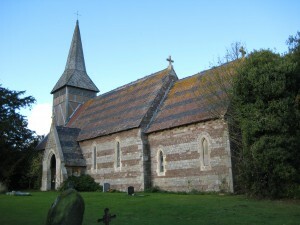 The Norman church of St. Andrew was altered in the 17th century and extensively restored in three stages in the 19th century. In the churchyard of St. Andrew’s Church is a font which is probably late 12th century. The bowl is round but broken, and the upper part is destroyed.